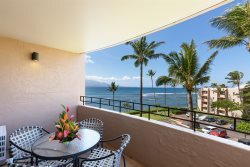 Know what the weather is going to be like when you stay with I Go Maui Vacation Rentals & Realty in Maalaea. View the weather conditions and plan your activities with the current weather readings in Wailuku, Maui. Find a variety of Maui weather-related resources below to help prepare for your island vacation. Occasionally we experience serve weather conditions, stay in the know especially during these times!